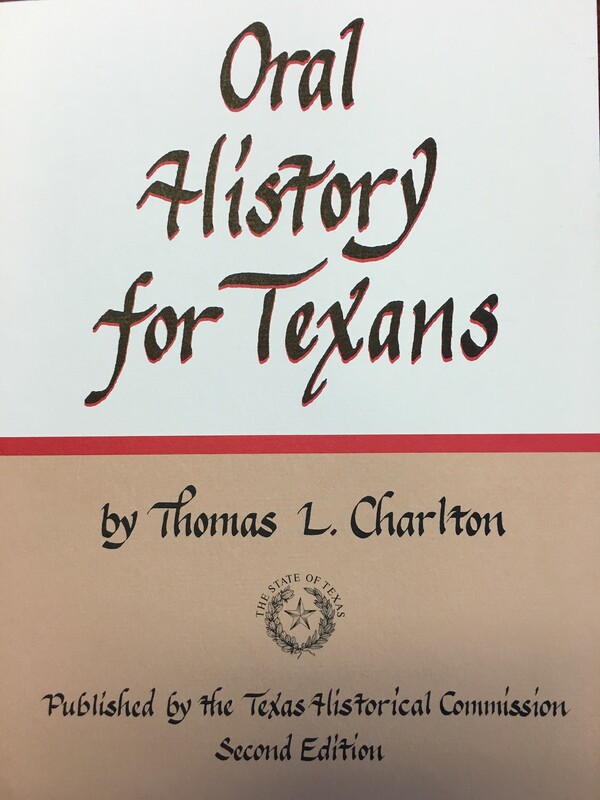 Open and read "The Heart of Oral History: How to Interview"
Chapter 3 from Thomas L. Charlton's classic text, Oral History for Texans, provides practical instruction in oral history interviewing. Viewing the recorder as "an invited guest," Charlton advises readers on how to formulate open-ended questions to achieve rapport with narrators and how to then use both verbal and nonverbal probing techniques to further enhance significant recollection of the past. This chapter also presents twenty-five proven strategies for oral history interviewing, with particular emphasis on local history projects. Charlton concludes, "When a prepared local historian shows keen interest in the information recounted in an interview and appreciation for the respondent's efforts, very positive results are possible. Interviewer praise for the respondent reinforces the permissive, receptive atmostphere so necessary to objective oral history at the local level" (p. 32).